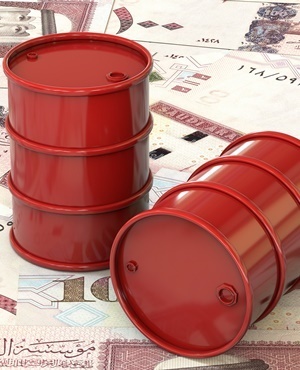 Oil gained ground as tentative signs that Russia and Saudi Arabia will reach a deal on supply cuts outweighed US President Donald Trump’s latest warning against new restrictions. Futures in New York climbed as much as 2.2%, wiping out earlier losses, as Russian Energy Minister Alexander Novak said a meeting with his Saudi counterpart on Wednesday morning was a “good” start to talks. Russian news agency Tass reported Moscow and its OPEC allies are leaning toward extending an existing agreement on cuts when the alliance meets in Vienna this week. A reduction "looks possible now just based on the body language," Frances Hudson, a global strategist in Edinburgh at Aberdeen Standard Investments, said by telephone. "It would be a big positive for the market if the Saudis manage to get Russia on their side." Amid those signs, traders shrugged off Trump’s tweet urging OPEC not to stem a surge of oil that’s helped push prices down by a third over the past two months. A ministerial committee was meeting in Vienna on Wednesday to try to thrash out the contours of an agreement. In private conversations, delegates have said that Moscow and Riyadh still differ on how to share any cuts. "The big question is, in the case of an agreement, what volume will be announced to the market,” said Harry Tchilinguirian, head of commodity-markets strategy at BNP Paribas. “I think we will see an agreement as it is in the mutual benefit of all producers belonging to OPEC+." West Texas Intermediate for January delivery rose 78 cents to $54.03 a barrel on the New York Mercantile Exchange at 11:19 a.m. local time, on track for a third straight daily gain. Earlier on Wednesday, the price had fallen as much as 2.1%. Brent for February settlement rose 1.3% to $62.91 a barrel on London’s ICE Futures Europe exchange. The global benchmark crude was at an $8.65 premium to WTI for the same month. In the US, the American Petroleum Institute was said to report nationwide crude stockpiles increased 5.36 million barrels last week, contrasting with a Bloomberg survey that forecast a 2 million-barrel decrease. Government data is due on Thursday. The API was also said to report inventories for gasoline and diesel rose last week.